For Leo, the prospect of traveling to EuropaâJupiterâs moonâto help resettle humankind is just the sense of purpose heâs been yearning for since losing his entire family in the flooding of Rome. Naomi, after learning of a similar space mission that mysteriously failed, suspects the ISTC isnât being up front with them about whatâs at risk. As the race to the final six advances, the tests get more challengingâeven deadly. With pressure mounting, Naomi finds an unexpected friend in Leo, and the two grow closer with each mind-boggling experience they encounter. 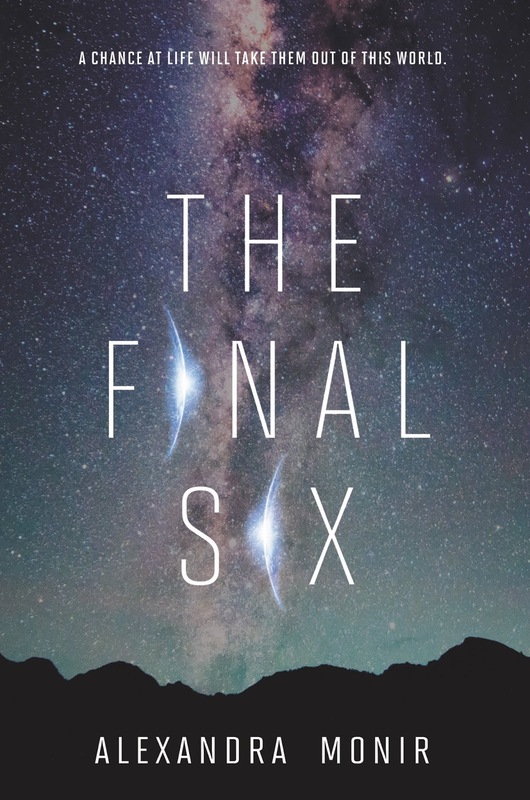 But itâs only when the finalists become fewer and their destinies grow nearer that the two can fathom the full weight of everything at stake: the world, the stars, and their lives. 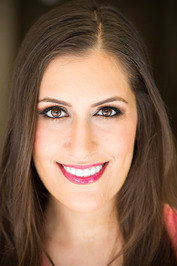 Iranian-American author and recording artist Alexandra Monir has published five novels for young adults, including her popular debut, Timeless. 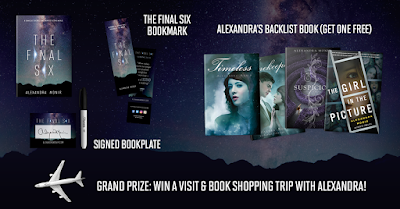 A Barnes & Noble bestseller and one of Amazonâs âBest Books of the Month,â Timeless and its sequel, Timekeeper, have been featured in numerous media outlets and been published in different countries around the world. She followed the duology with Suspicion and The Girl in the Picture, both standalone YA thrillers. 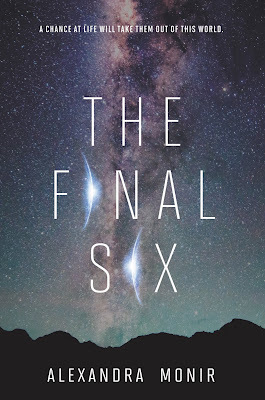 Her upcoming science fiction novel, THE FINAL SIX (March 6, 2018) was acquired by HarperCollins and Sony Pictures on the same week, in two major pre-emptive deals. 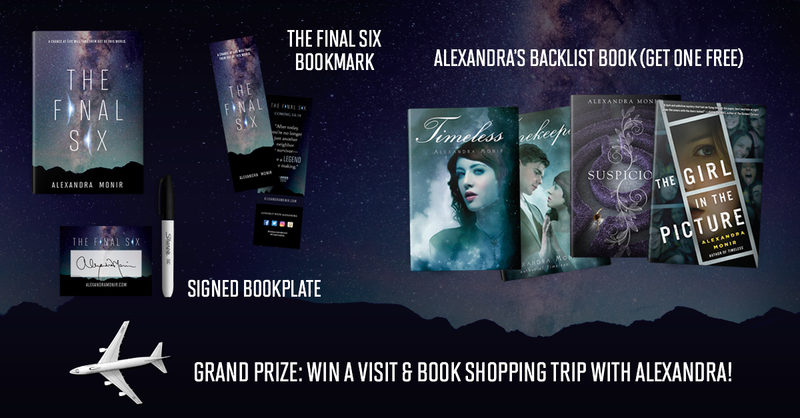 Alexandra is also a singer/songwriter who often integrates music into her booksâ pages. She wrote and recorded three original songs to accompany Timeless and Timekeeper, which were released as the album The Timeless EP and distributed by Jimmy Buffett's record label, Mailboat Records. She also recorded a song that was released with the publication of Suspicion, and is composing a stage musical geared toward Broadway. Her musical roots are deep, as she is the granddaughter of the late Monir Vakili, the foremost Iranian opera singer. Alexandra Monir is a frequent speaker at middle schools and high schools across the country and at major events including fan conventions, womenâs leadership conferences, and book festivals. She lives in Los Angeles with her husband and newborn son. To learn more about Alexandra, visit her online at www.alexandramonir.com.